On that day, I was all smiles. I love to relive the beginning of the wedding reception; I was smiling so big. And, I took a brief silent moment to myself to say… this is exactly what I wanted to live for. I did cry on the day I heard the words, “You have breast cancer.” I remember my first thought was about my girls and how I had to get through it for them. My daughters are my everything. I knew in my heart when I was diagnosed that my greatest fear was missing out on my daughters’ lives. I wanted to be there for their first boy crush, for their swim meets and cheer leading competitions, graduations, and of course their wedding days, and someday to be a grandma. 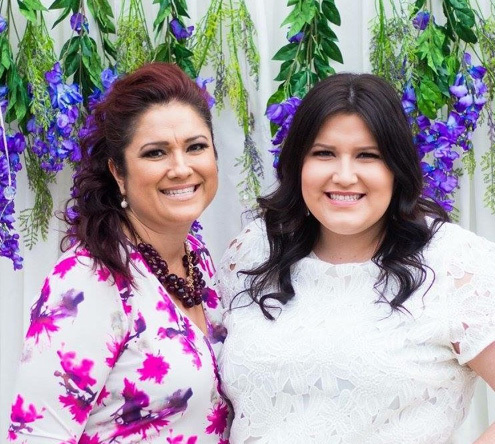 (L) Rebecca Hultquist all smiles with her daughter, Victoria, together for her bridal shower. On Victoria’s wedding day, I felt pure joy and elation experiencing every moment. After months of breast cancer treatment, with my husband and daughters as my motivation to keep on fighting, I beat breast cancer and am now an 12-year Survivor. 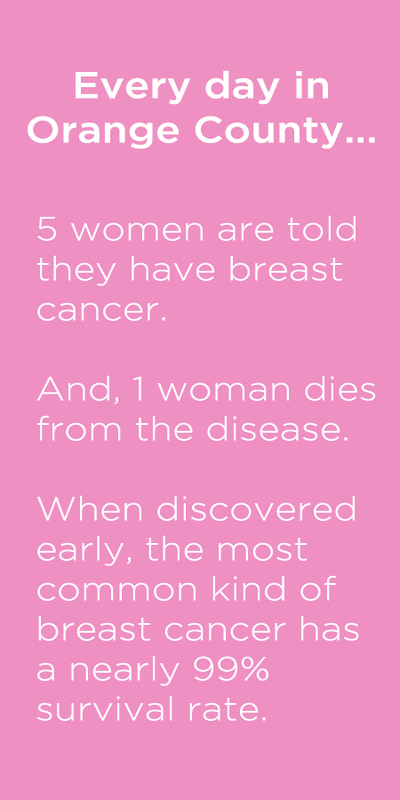 I am alive today because my breast cancer was detected early and the journey has brought me to this season in my life. Everything a mother dreams of, and more. On this Mother’s Day, I am inspired to make a gift honoring all mothers like me who need our support so they too have a chance to live on and smile when they see their children marry and their families flourish for generations to come. Please join me and make your gift to support all Orange County mothers struggling with breast cancer and help us keep their families whole and our communities thriving.